This BOD section should be used for 1) rehab projects to guide Architects, Engineers, and Development staff, and 2) during system replacement to guide maintenance staff. Modifications to existing heating equipment present significant and uncommon opportunities to improve performance, increase heating system efficiency and reduce utility costs. POAH’s preferred approach is to remove existing heating systems and to install new central heat pump systems with heat recovery (VRF-HR). 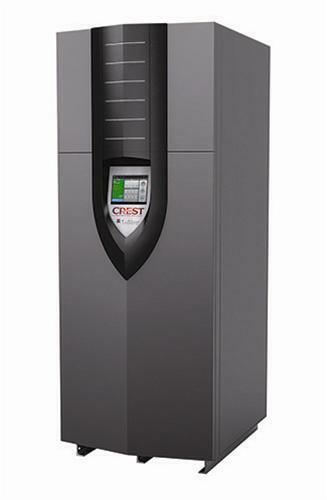 For requirements on heat pumps, see the Heating + Cooling: New Construction section of the Basis of Design. New heating and cooling equipment shall be sized to meet calculated loads for the specific building or space served. Rule-of-thumb sizing is not acceptable. For buildings 3 stories or less in height use ACCA Manual J to calculate building loads and ACCA Manual S to size equipment. For buildings over 3 stories in height calculate heating and cooling loads according to ANSI/ASHRAE/ACCA Standard 183 and size equipment not greater than these loads. See the Thermostat section of the Basis of Design for more information. Note: PTAC units will not include separate thermostats. Project team contact list, Cx roles and responsibilities of team, general management plan, communication protocols. Summary of Cx process, schedule for Cx activities. Documentational requirements. Plan for delivery and review of submittals, systems manuals, and other documents and reports. Process and schedule for completing construction checklists and manufacturer's prestart and startup checklists for HVAC&R systems, assemblies, equipment, and components to be verified and tested. Certifications: installation, prestart checks, and startup procedures have been completed. Ready for testing. Verification of testing, adjusting, and balancing (TAB) reports. Sample Issues Log and Corrective Action document. When replacing boilers, determined if the boiler failed prior to its expected service life. Collect data on any previous water quality tests and premature system failures. 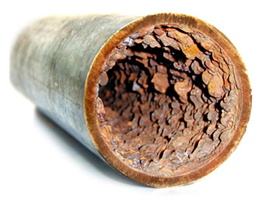 Corrosion due to hard-water, chemical imbalances, oxygen in the system are typical culprits. A water treatment conditioning device may need to be installed within the boiler plant to minimize future corrosion. Water strainers need to be inspected for debris and materials within the system. On all existing systems, at the design exploration phase, perform a test of water hardness and chemistry. Check all pump strainers for debris and indications of distribution deterioration. Galvanized piping over time corrodes from the inside, reducing flow rates through the piping and causing costly leaks inside concealed walls and floors. If galvanized pipes are found, the project team must evaluate replacing the entire piping system (this applies to both the heating and plumbing system). 3. Inspect pipes embedded in concrete. Leaks will degrade concrete, in turn the concrete will increase the speed of metal pipe corrosion. 1. located on the exterior face of the building. 2. located on the North side of the building; I.E. it should not be affected by changing temperatures caused by the sun. Alternative shaded locations may be suitable, subject to POAHs approval, where direct sunlight does not reach within 3’ of the OAT sensor and the surface that it is mounted to does not fluctuate with sunlight. 3. OAT sensor must be away from any devices that may affect its temperature reading, such as dryer or bathroom exhausts vents or AC/heat pump compressors. 3. Piping Configuration: If replacing distribution piping, utilize primary-secondary configuration. Use tertiary if needed for wings or auxiliary loads. 4. 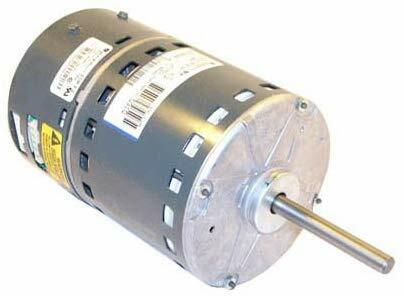 Building Loop Pumps: use lead lag, VFD pumps. 2. 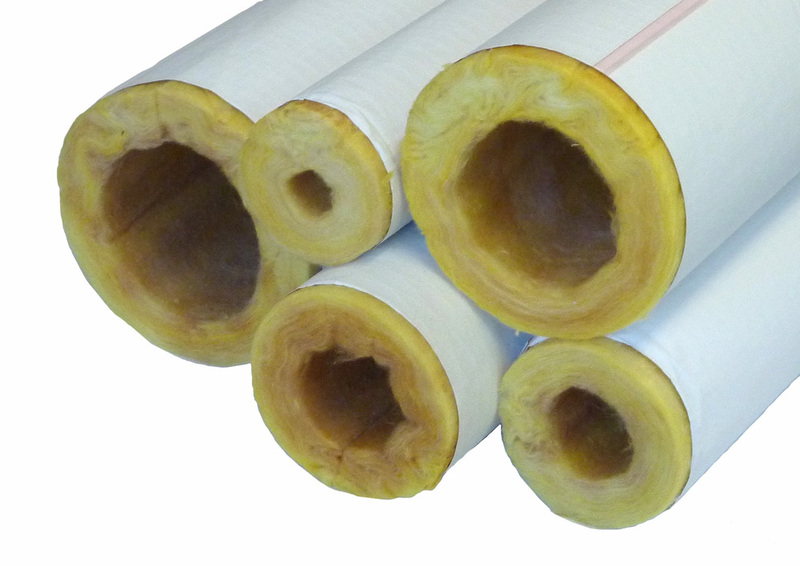 Pipes greater than 1 ½” diameter: use minimum 2” thick tubular insulation. The exhaust vent must be located away from ventilation intakes, operable windows, etc. Refer to the International Mechanical Code (IMC) or the manufacturer’s installation instructions. 1. Inlet and outlet need to be located above anticipated snow load. Clearances above grade must account for not just average snowfall, but also snowdrifts and piles made from snow plowing/blowing. 2. Configure the exhaust vent such that condensate will not fall upon any building surfaces or walks. This boiler vent deposits condensate on the wall of the buildings and on the stairs leading to a shared laundry facility. When converting the hot water heating to either electric heat-pump or direct-vent combustion, there typically will be an existing exhaust vent that is no longer needed. Abandoned exhaust vents should be demolished and the ceilings, floors, roofs and/or walls that the vent went through should be patched and made good. The abandoned shaft must be closed and sealed at the floor of the attic. 1. Where the vent penetrated a roof and or wall, the water control of must be restored with the water control layer properly shingle lapped. 2. The ceiling of the boiler room must be patched and sealed. 3. Floor penetrations that are accessible or can be access as part of the renovation work should be sealed air tight and as required for fire safety. 4. 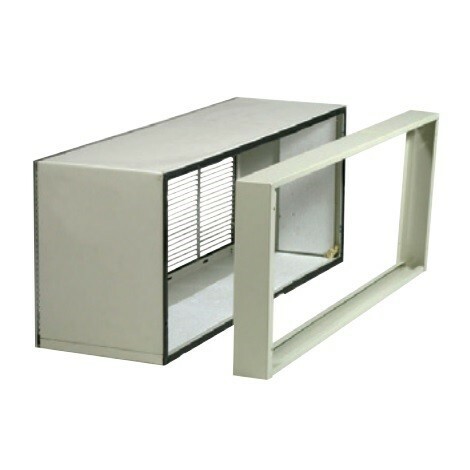 If the vent cannot be fully demolished – e.g., the flue chase is in occupied apartments with no provision for work in those apartments – then the accessible portions of the vent should be demolished with the chase and vent sealed at the top and bottom. 5. If using the vent chase for new vent or intake pipes, or refrigerant lines, or ventilation ductwork, electrical service, etc. be sure to seal around the pipes and wires where they enter the chase. The top and bottom of the chase should be closed and sealed. This abandoned exhaust vent provides a direct air leakage path to the exterior. It requires patching. 9. Heat Exchanger (HX): Evaluate history of HX seal replacement, dates and reasons for replacement; evaluate if the HX requires premature seal replacement. If HX requires disassembly and new seals, check water quality as previously discussed within this BOD section. Check condition of HX, are the chambers “plugged” with debris, scaling, or water hardness, indication (symptoms) of distribution system issues. Ensure strainers (filters) on both supply sides to the HX, in locations that are easily accessed by maintenance. If there is a debris or water quality issue, DO NOT replace HX or seals without addressing water issues. 1. provide isolation valves for zone piping if not already present. Use ball valves, do not use gate valves. Gate valves typically wear faster and will require replacement, they are more prone to corroding in a position. They have a higher tendency to leak. Ball Valves last longer and are less prone to leaking. 4. Combustion Exhaust Venting: see Combustion Exhaust Venting Section listed above under “Central Boilers with Hydronic Distribution”. 5. Investigate adding cooling to existing system: If not already provided, provide an evaporator coil and exterior condenser to provide air-conditioning capability to the existing system. 1. For Heat Pump PTAC units with electric resistance “back-up” heating: The controls for the PTAC unit must allow Heat Pump only heating down to a change-over temperature of no more than 40F. 2. Cold climates: Line the wall opening with rigid foam insulation (min. compressive strength of 15 psi) to control condensation on the outside of the sleeve in the wall cavity. 3. Insulate and seal the perimeter of the wall sleeve to avoid drafts. 4. Multiple speed fans: use models with 2-speeds, or more. 5. Thermostats: do not use remote thermostats. 1. 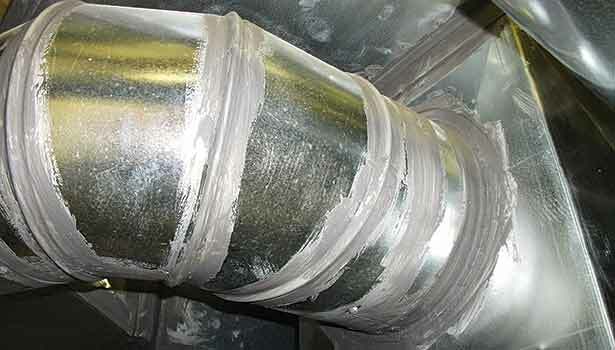 Duct connecting the PTAC unit with the distribution duct/plenum must be sealed to the PTAC unit discharge. 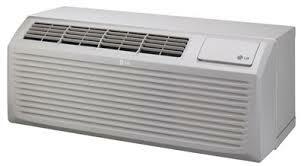 Verify that supply air does not leak and is supplied at supply grilles only. 2. Provide a manual balancing damper in the ductwork. 3. Balance system supply air. 1. Warm, humid climates zones 1 and 2: Ventilation may be provided through the PTAC unit only if the PTAC unit provides dehumidification of the ventilation air. Dehumidification of ventilation supply air is also recommended for PTAC units in humid climate zones 3 and 4. 2. Mixed humid climates zones 3 and 4: Ventilation may be provided through the PTAC unit only if the PTAC unit provides either dehumidification of the ventilation air or ERV with a latent efficacy of at least 50%. 3. Cold climates, zones 5 and higher: Ventilation may be provided through the PTAC unit only if the PTAC unit provides energy recovery or heat recovery ventilation with a total recovery efficiency of not less than 65%.